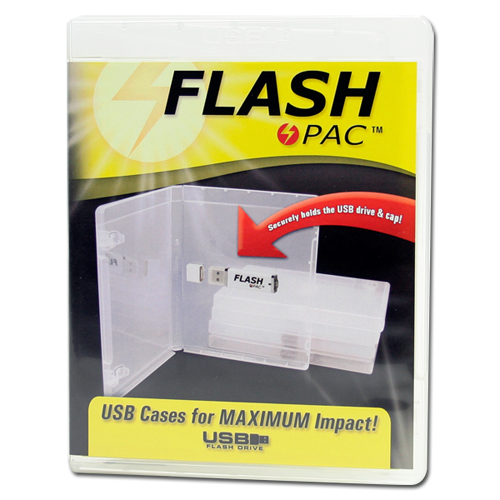 Flash Pac™ Brand USB Cases, USB Cases for Maximum Impact! Meet the Flash Pac™, the versatile new case for USB flash drives! These cases are exclusive to US Digital Media! The Flash Pac™ cases make distributing USB flash drives easy because they hold up to 3 USB drives and caps securely in place during transport.